Kochi: CPM general secretary Sitaram Yechury making public that the party leadership had got a complaint against Kerala unit chief Kodiyeri Balakrishnan’s son has sent shock waves in the Pinarayi Vijayan camp. A supporter of Pinarayi’s bete noire VS Achuthanandan, Yechury stating that action would be taken on the basis of the complaint was seen as sending a clear message to the Pinarayi camp which had annoyed Yechury for opposing his suggestion to tie up with Congress in the Lok Sabha election at the recent CPM central committee meeting. 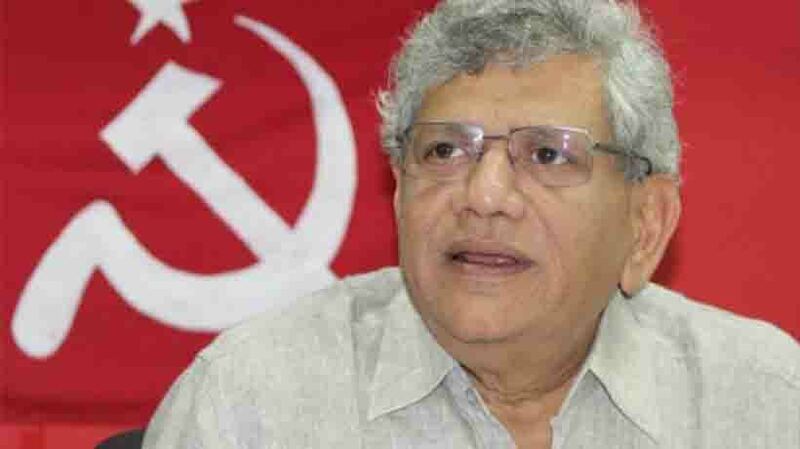 Yechury said as a general secretary, he used to get number of complaints. The party had a clear policy to deal with such issues, he told reporters in New Delhi. Party leaders or their kin are not allowed to misuse the party or their position, he said. The party was in favour of probing into all complaints, he said, adding that in the Binoy Kodiyeri matter, a probe was on in Dubai. The State unit had also clarified on the issue. Though the assets of the central committee members and their spouses were reported to the party, the wealth of their children was not. The remarks of Yechury were likely to widen the gap between two groups, making the party weaker. It had also earned the wrath of its junior partner CPI which had in a report blamed Pinarayi for encouraging corruption.